water heating - Poole's Plumbing, Inc. Please describe a little bit about your company and the services you offer? Poole’s Plumbing, Inc. is a fully licensed and insured residential and commercial Raleigh plumbing contracting company created in 1999 by Robert K. Poole. With two men, a truck, and a dream, Robert started this journey by doing new construction and renovation work. By 2007, Poole’s Plumbing had 60+ employees and plumbed approximately 1,300 new homes per year. Poole’s Plumbing, Inc. maintains a client portfolio that includes some of the largest national tract home building companies as well as some of the most well-respected custom home builders in the triangle area. We offer full-service turn-key new construction, remodeling, & repair services. 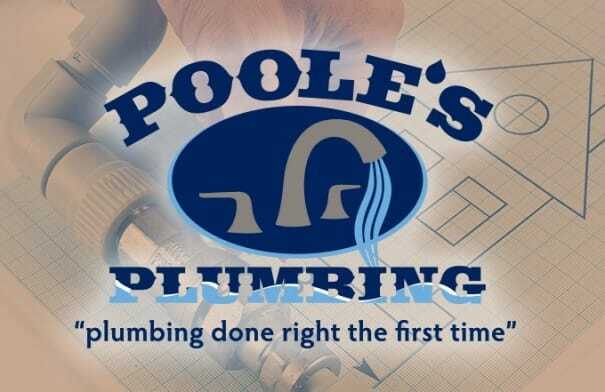 The moral/ethical position of Poole’s Plumbing is to create an environment of Honesty and Integrity and to maintain a high level of service without compromising quality or craftsmanship. Our desired public image is “plumbing done right the first time” at the best possible cost. What are some eco-friendly services you offer? Tankless Water Heaters, High Efficient Tank Type Water Heaters, Electric Heat Pump Hybrid Water Heaters, Low-Flow Faucets & Fixtures, Dual-Flush & High Efficient Toilets. What are the dangers of hard water? Hard water, unlike softened water, features a buildup of mineral content. This buildup usually consists of magnesium and calcium ions as well as a collection of other dissolved compounds. This high mineral count in hard water leads to a number of potential negative effects. Film. Hard water affects the quality of your shower or bath. Hard water and soap can make removing body cleansers more difficult, leaving a film on your skin called soap curd. Soap curd is responsible for dull looking hair and can also cause irritation to your skin. Further, soap curd collects as a film on shower walls and along with your bathtub. Washing Problems. Other problems can occur when washing dishes or clothing as a result of hard water. Hard water often makes clothes feel rougher and more irritable following a wash than they may normally due to the mineral density of the water. Hard water can also cause your clothes to wear out more quickly over repeated washes. These same minerals in hard water also leave a residue when washing dishes, making it more difficult to clean your plates, cups, and utensils in just one normal wash. Efficiency and Limescale. Hard water can impact the efficiency of hot water heaters. There is a greater amount of sediment in hard water, and this can build up inside water heaters and make it more difficult for the device to heat the water. This causes a greater amount of energy usage, leading to higher energy bills over time. Additionally, other appliances that are used to heat water can become clogged with minerals that are found in abundance in hard water. This limescale buildup will also cause the devices in question to suffer from poor energy usage. How do I know if it is time to receive maintenance on my water heater? Performing maintenance on your water heater is highly unlikely to be on the top of your weekend to-do list, but proper maintenance at critical junctures in the life of your water heater can often save the headache of complete replacement- not to mention spare you the task of some serious water cleanup. • Water coming from the heater that appears rusty or brown is typically an indicator of impending water heater failure. Similarly, if the water smells unusual or “metallic” it is another giveaway that your water heater has seen better days. Check the water emerging from your water heater and determine whether its quality has been affected in the aforementioned ways. If you’re wary of tasting the water, a sniff test should suffice. • Sediment within your water heater’s water is another indicator your heater’s condition is rapidly deteriorating. This often occurs from mineral build up over time on the bottom of the heater’s tank. • Loud pops coming from your water heater are not normal. Also, be sure to monitor for any sounds that crop up that did not previously emanate from the device. Such sounds should be treated as anomalies and may be a symptom of the aforementioned mineral buildup. This buildup will usually lead to failure in the short-term. • A symptom of internal water heater failures is leaking water. If water begins noticeably leaking from your heater, disconnect the unit and consider immediate replacement. Do not hesitate to replace your heater in the event of leaking water, as any delay will likely lead not only to a cessation in its operation but also a serious mess that can impact other aspects of your home’s interior, causing associated repair costs to spiral upward. What areas of my home should I look out for when it comes to plumbing issues? Plumbing runs throughout the entirety of your home, and where there is plumbing, the potential for plumbing problems arises. The four main areas of the house that often encounter plumbing issues include the kitchen, bathroom, hot water heater and septic system. A licensed plumber provides professional service that can extend the life of your home’s plumbing system. 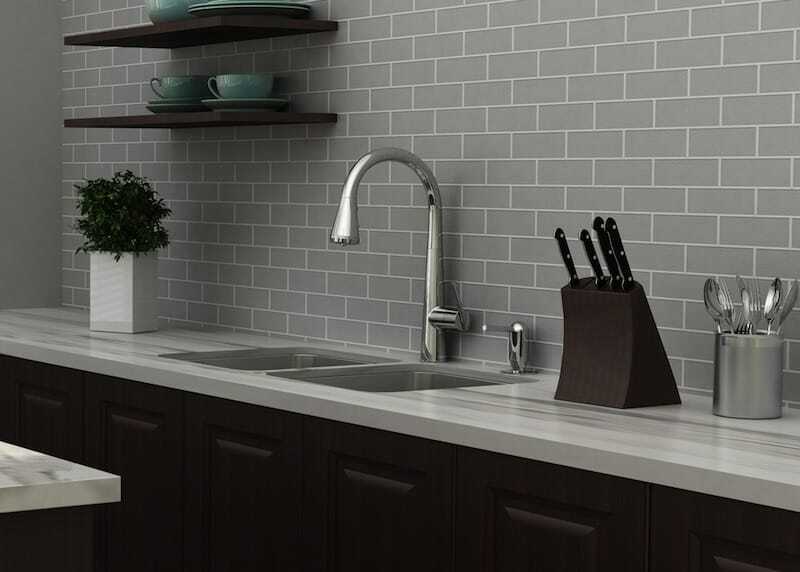 Kitchen: As one of the most used areas of the home, the kitchen plumbing sees a great deal of wear and tear every single day. This includes everything from leaky faucets to busted pipes. Appliances, such as dishwashers and ice-makers, can pose all kinds of threats that may not be noticed until water damage has already occurred. Keeping up with regular maintenance and repairs is critical to preventing such disasters. Always have a licensed plumber do renovation, remodel and repair work to ensure that the job is done right the first time. Bathroom: As another commonly used room that is full of pipes and fixtures, plumbers often get called upon to service this area of the home. Clogged drains and toilets are among the more minor repairs. However, small problems can grow into larger ones posing a new set of problems, such as mold and mildew. Hot Water Heaters: This metal tank cycles through a large amount of water each day and is rather prone to leaks due to corrosion over time. Six to eight years is the general lifespan before the unit begins to deteriorate or experience electrical problems. Even things as simple as the heating element or thermostat can wear out rather quickly. If extensive repairs are needed, consider installing a tankless or solar water heater as a replacement. Septic System: This crucial but often overlooked component is responsible for carting waste products away from your home. Regular maintenance is essential, and a licensed plumber can inspect the system as needed. Repairs and remodeling projects serve as a perfect opportunity for your plumber to assess the overall function of your septic system. Please describe a water softener and how it works. Water softeners perform an “ion swap” procedure within the water in order to achieve softening. The harmful excess calcium and magnesium ions that create water hardness are swapped out with sodium ions, restoring the quality of the water. Sodium most often works for this purpose because sodium “plays nice” with soap and doesn’t react poorly when other elements are introduced. Generally, the amount of sodium that accumulates within your water as a result of this softening process is of no concern and lies far below the FDA’s “very low sodium” classification. How Ion Swapping Works: A tank full of negatively charged polystyrene beads are bonded to the positively charged sodium ions. The sodium ions “swap” with the harmful magnesium and calcium ions as the water rushes by the beads. Eventually and after numerous cycles however, the sodium within the polystyrene beads is completely replaced by the calcium and magnesium, and the water softening unit can no longer perform its duties without a regeneration cycle. Salt is added back into the water softener to begin this cycle, and the beads are soaked in this solution of salt and water. The beads are regenerated with the proper levels of sodium and any excess solution flows out of the water softener through a drainpipe. While most home water softeners utilize polystyrene beads, not all determine when it’s necessary to regenerate in the same way. Some water softeners utilize a mechanical water meter that begins the regeneration cycle only when the ratio of existing water to sodium requires activation. Other water softeners operate on a regular, timed schedule due to electric timers, and some instead simply use a computer that begins the regeneration cycle when it deems enough water use has transpired. What are the advantages/disadvantages to tankless water heater systems? Traditional water heaters consume large amounts of electricity or natural gas and can only supply enough hot water for two or three showers. Because of these issues, many energy conscious homeowners are making the switch to tankless water heaters to save money and avoid headaches. • Unlimited Hot Water: With a tankless water heater, you will enjoy an unlimited supply of hot water. Instead of heating dozens of gallons of water in a large tank and maintaining it at a certain temperature, a tankless water heater simply heats water as it passes through the heating elements. You’ll receive water at your desired temperature within seconds, and you could leave the hot water running for a whole week without running out. • Size: A water heater tank can fill up an entire closet by itself, which limits where it can be placed in the house. A tankless water heater is small by comparison, often measuring as tiny as two cubic feet. Because it doesn’t store water, it is lightweight and can easily be mounted to the wall. Even if you place it inside of a closet, you will still be able to use most of the closet for storage however it must be placed on an outside wall so that it can be properly vented to the outside. 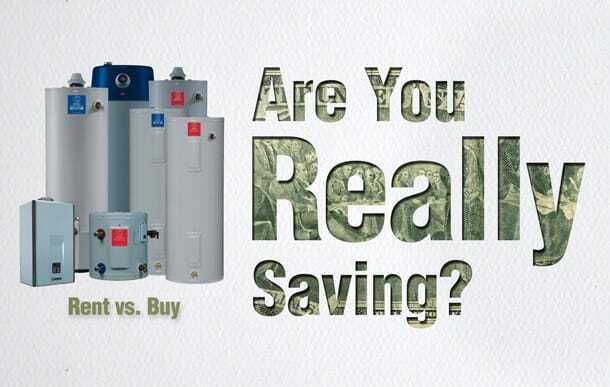 • Energy Savings: Tankless water heaters are incredibly energy efficient. Although they can use 15 to 30 kW of electricity, they actually end up using less energy than water heat tanks. Remember that tankless water heater only turns on when you need them, but water heater tanks can take hours to warm 50 gallons of water to the target temperature. Manufacturing processes have improved over the past few years as tankless water heaters have become more popular, and they now cost little more than some traditional models. However, the energy savings will quickly make up for any extra installation costs. Depending on your family’s hot water usage, you will save 25 to 40 percent off of your hot water heating costs every year. Disadvantages: The only disadvantage that we could see is that if you lose power, you will have no hot water. But then again you could invest in a whole house generator to solve that problem. What’s the best way for people to get in contact with you? The plumbing systems in American homes waste fathomless gallons of cold water during the wait for hot water. In most homes, cold water rests in plumbing pipes when water is not in use, and it requires purging before hot water can flow out. 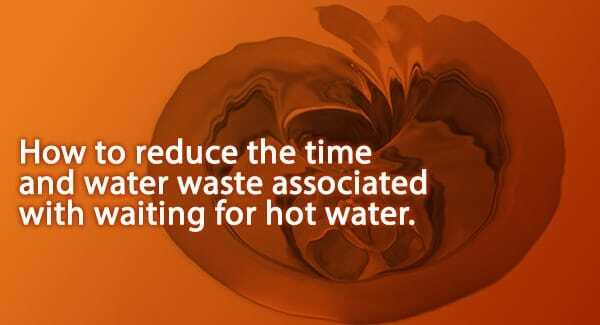 Two types of recirculating systems, however, eliminate waiting and wasted water by promptly providing hot water. Initiated by a button, motion sensor or switch, a circulation pump returns the water standing in the pipes to the water heater and sends hot water through the pipes to the taps. Once hot water reaches the tap, a temperature-controlled switch signals the pump to stop. Compared with other systems, a demand-controlled system uses less energy because the pump works only when hot water is wanted, but the process of returning the cold water to the water heater means a slightly longer wait time than gravity-fed systems offer. Gravity-fed systems require a loop of plumbing lines: The first half of the loop carries hot water to the faucets, and the second half returns cold water to the water heater. Gravity brings cold water, which is denser and heavier than hot water, down to be reheated, and the lighter, reheated water rises back up the loop. Basically, gravity-fed systems are a continuous circuit of water. This system only works in a home with the water heater placed lower than the hot water lines. Hot water is immediately available, but gravity-fed systems consume more energy than demand-controlled systems because the water heater is in continuous use. If a home’s hot water heater is not located below the hot water lines, a pump can take the place of gravity in generating a continuous circuit. Again, hot water is instant, but energy use rises. Installing a timer will reduce the amount of energy this type of system uses. The system to choose depends upon the home, the budget and personal preference regarding energy, but both recirculating systems perform well the job for which they were created: reducing the time and water waste associated with waiting for hot water. To learn more about Recirculating Systems and guidelines in the Raleigh area, call Poole’s Plumbing today and let one of our Plumbing Specialists help you choose the system that works best for your home. Many people currently rent or lease their water heaters instead of buying them. Homeowners find the idea of worry-free maintenance and repairs, free installation and low monthly fees appealing. However, if you plan to live in your home for many years, purchasing a water heater is clearly a wiser financial decision. Most hot water heaters can be expected to last about 10 to 12 years. Over the life of the appliance, renters will pay far more than what the heater would have cost if purchased and installed. For example, if a homeowner paid $25 per month in rental fees, the total rental cost for 10 years would be $3000. The same water heater may have only cost around $800-$1000 fully installed. Water heater rental fees often increase as time goes by. This can leave renters locked into an agreement to pay more and more every year for their aging unit. Some long-term rental agreements even require an expensive buy-out if you decide to switch suppliers or no longer need the water heater. Renting may offer a convenient or even necessary option to those who will only be living in their current residence for a short time. It may also be beneficial for people living in areas of hard water where the heater’s lifespan will be compromised and repairs are more likely, but for most homeowners, the savings over time would more than cover any repair or replacement cost. New hot water heaters are generally covered under a warranty for a limited period of time. After warranties run out, owners are responsible for all repairs, but this does not necessarily mean that the cost of repair will be unaffordable, especially when compared to paying more than four times the worth of their appliance in rental fees. Buying your hot water heater also gives you a wider variety of choices. Eco-friendly options, favored brands and high-end models may not be available as rentals. 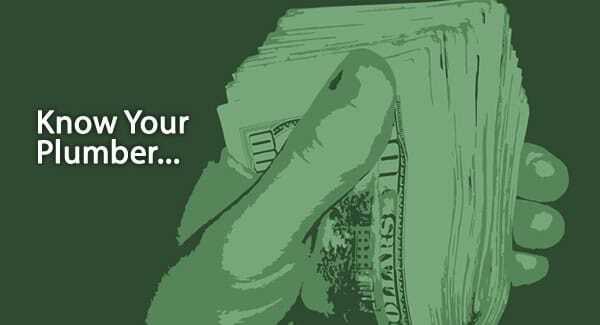 The decision to purchase a hot water heater rather than renting it is a clear example of spending money to save money. For financially stable homeowners who plan to use their water heater for several years, buying the appliance offers more benefits in the long run. Raleigh Plumber serving: Raleigh, NC Cary, NC, Apex, NC and Durham area of NC. 24 hour emergency Raleigh plumbers turn-key complete plumbing services and Water Heater Repair. ©2018 Poole's Plumbing Company® - "plumbing done right the first time"® A Raleigh Plumber Since 1999. All Rights Reserved. Site by: Blevins Creative Group, Inc.
Poole's Plumbing and "plumbing done right the first time" are Registered Trade Marks of Poole's Plumbing Company.